Video (5:10): Catherine Opie – Photography, Painting and Portraiture (2017) by Tate, UK. Video (6:37): Maggi Hambling in her studio – ‘Every Portrait is Like a Love Affair’ (2018) by Tate, UK. Multi-disciplinary artist Rebecca Swan gives insights into her work at this artist talk and tour. Video (1:32:24): queer artist L.J. 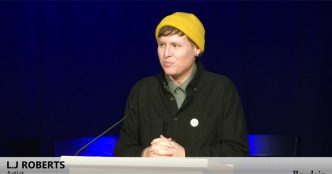 Roberts speaks about the expression of LGBT identity through the visual arts at the Bowdoin College Museum of Art (2016).